For too long, this period of Scottish history has been romanticised with the exploits of Bonnie Prince Charlie to the fore. Dane Love's personal interest in his ancestors has made him research the lives of ordinary men and women who lived, fought and died during this period and the result is a highly readable account of the Jacobite era. All the main characters and events are here along with lesser known people who were nevertheless just as involved in the upheaval in Great Britain at that time. 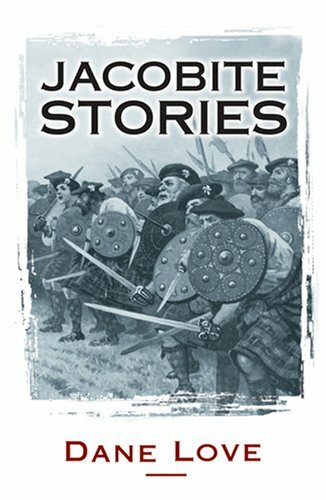 There are over 40 stories covering a 70 year period between the 1680's and the 1750's with the defeat at Culloden and the aftermath of that battle concluding the book. Jacobite Stories is available from the author's online Bookshop.